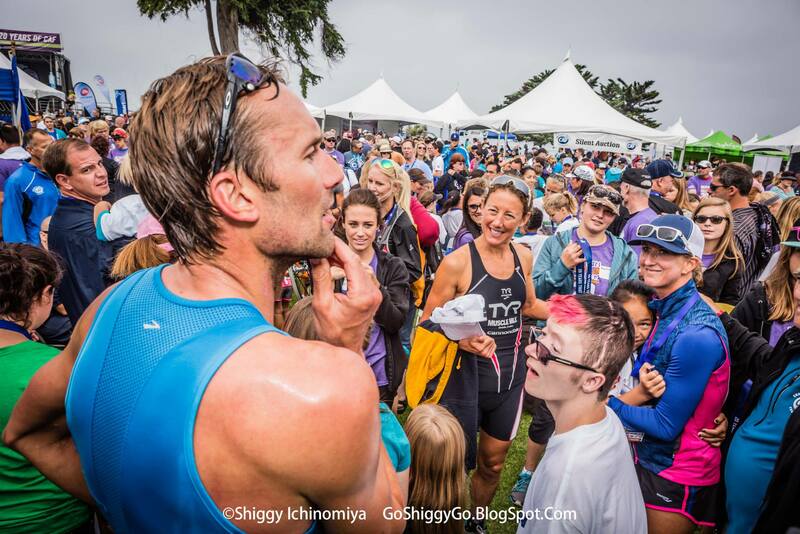 I need to ask one question to professional triathletes: Do you like the current state of affairs in our sport? If you are perfectly content with how the sport is run, your income levels, no problems with officials or start times, like the point system, like the barriers to entry to become a pro, satisfied with the amount of spots in Kona, have mutually beneficial relationships with sponsors, and are in a utopia rapport with long distance triathlon racing as a whole, then there is no need for you to join the Professional Triathlon Union. However, if status quo is not ideal, then please join the Professional Triathlon Union so we all can gain a voice in this sport; it’s that simple. Issues being black and white in our lives are few and far between but this one is obvious. As human beings, it is in our DNA to work towards improvement, put ourselves in a better situation, and continually fight to grow. The current system is this – someone has a beef, they post a rant on social media, and it is gone like a cool breeze. It is tough to enact change solo as history has shown; you need a united front and group effort to gain traction for a cause and eventually a transformation. I have been a professional triathlete for nearly 7 years and an age grouper for 10. One of my goals when I first became a professional triathlete was to try (with a united front) to make the sport a better place than when I first started. This included making the professional ranks a better place for up and coming pros. Yes, there is something to be said to paying your dues and struggling to carve out a living. However, it makes it much more difficult when the sport you love and want to see flourish has so many outside obstacles along the way that can stop prospective athletes before they even begin the journey. Our sport is tough enough trying to conquer three disciplines! Everyone has a cause, an obstacle, and something they want to change in triathlon. Personally, I would like to see fair starts and have been campaigning on this for years to no avail. Pros, take a moment and write down what you want to change and post your grievances on social media…Or, better yet, sign up for the PTU and collaborate with like minded individuals to enact some change. You heard it directly from Ironman, Challenge, and Rev3; they are willing to work with us so let’s not blow this opportunity. All three of these companies have gone through enormous changes in the past year and the time is now to all work together on the correct path to align the goals of triathlon, the races, and the professionals. If you don’t like the board members, no problem, you will have a vote to elect who you want to represent professionals in the near future. If you don’t like unions, fine, you will have a vote to change the direction as we collectively get this off the ground. If you enjoy the status quo, superb, you will have a vote to keep the status quo. If you want to attract more sponsors, unite together and create a clear cut system that all can benefit from including race organizers, professionals, and company sponsors. I know you can picture this scenario I am about to retell because we have all been there. It is the Ironman Arizona pro meeting 2015 and they announce that there has been a change to the start time. The age group males will now start five minutes after the professional females. How is it possible that this important decision was only heard about one day before the race? What if before professional tennis matches they announced one player would serve the first two games rather than having an even match? It would have been nice to have known that the Professional Triathlon Union was in place to have our backs. An even better scenario is if the PTU negotiated fair starts with Ironman beforehand so we knew what to expect going in. I heard a quote recently that getting pro triathletes to agree on anything is like herding cats – it can’t be done. I want to disagree with this statement yet only if everyone can put down their walls and have an open mind. This isn’t a high school cool kids convention or elitist call to arms. It just would be nice to have the option to not sell our souls to any sponsor or media outlet that comes our way offering exposure in exchange for our endorsement. This is for all of us, being adults, trying to a push for the betterment of our lives and professional triathletes in the future! My final thought is in a year’s time, if we are still ranting and raving on social media about what changes need to be made and they are still the same issues we talk about now, I will know that we all missed out on a tremendous opportunity. To be clear, I realistically don’t have a dog in this fight; I hopefully will be trying to be a mom when this really gains momentum in X amount of time. However, the majority of you professionals and up and coming pros have a huge stake in this battle; don’t leave your future in the hands of others.